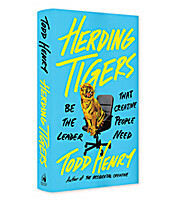 As a consultant to creative companies, Todd Henry knows firsthand what prevents creative leaders from guiding their teams to success, and in Herding Tigers he provides a bold new blueprint to help you be the leader your team needs. Learn to lead by influence instead of control. 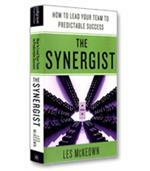 Discover how to create a stable culture that empowers your team to take bold creative risks. And learn how to fight to protect the time, energy, and resources they need to do their best work. As a “creative” himself, the author objects to the analogy that managing creative employees is like “herding cats,” because it does a disservice to the work creative people produce and the conditions under which they are usually asked to deliver that work: “If you’ve hired brilliant, driven people, it’s more like herding tigers, powerful beings who cannot be corralled but must be carefully, individually and strategically led.” He acknowledges that there are often large egos involved and big insecurities that go along with that (resulting from the high risk and personal vulnerability that accompany delivering highly visible work for scrutiny by non-creatives). 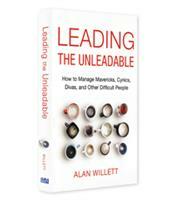 On the assumption that you, as the new manager, are rising from that same group of insecure egos, the author recommends a two-stage process. First, manage your mindset; second, manage your mechanics. If you can’t manage the shift in mindset from doing your own work to leading the work of others, the production capacity of the team for which you are now responsible will never scale beyond your individual output. Henry distills this down to two specific needs that creatives have for a productive work environment: stability and challenge. Stability is divided into two components: clarity, where they fully understand what is expected of them (thereby avoiding wasted effort); and protection, where they feel reassured that you have their backs and are willing to run interference in the face of the unrealistic expectations of non-creatives. Challenge is also divided into two components: permission, where your team is encouraged to take risks and, where necessary, stretch their skills to achieve creative outcomes; and faith, where you are willing to stake your reputation on their ability to deliver. Your ability to manage your internal mindset is of little value if your people aren’t able to see evidence of that in your day-to-day decision-making. Your promotion may have taken you one step up the career ladder, but it doesn’t automatically earn the trust of your new team. They know you for what you did in the past as a peer, not what you must now do as a boss. The author offers specific guidance on navigating the minefield of daily management, from setting targets, keeping everyone focused on collective goals and managing conflict within the team. For a manager of creatives, there is an additional challenge of being the muse for your team. Whether it’s sparking ideas and managing that spark so that it doesn’t take the team in the wrong direction, or managing the scorpions on the team who might kill an idea before it has a chance to develop, managers of creatives must maintain a delicate balance between providing a creative spark and fostering an environment in which those sparks can be taken on and developed into full-fledged ideas. Todd Henry draws attention to the opacity with which many managers refer to the creative department of their organizations, treating it like a “mythical box where complexity goes in one end and amazingness comes out the other. 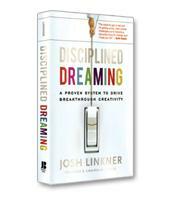 Herding Tigers opens that box and offers valuable insights to creatives and non-creatives alike. 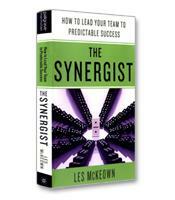 The author also provides checklists, insightful conversation starters and suggested rituals to follow on a weekly, monthly and quarterly basis, so that both inter- and intra-departmental management may be as transparent as possible.